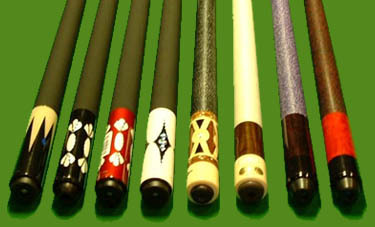 we at cgq snooker have a range of refurbished antique billiards & Snooker tables, call for details or tell us what you require! We can email you some images. 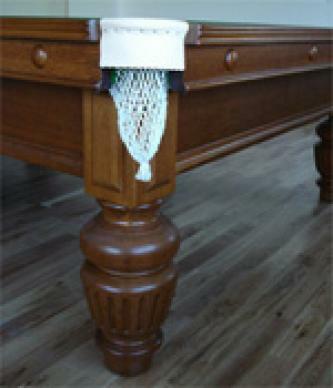 All our tables are delivered and installed by fully qualified billiard table fitters second to none ! 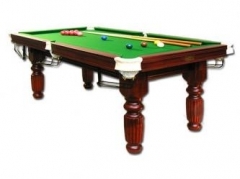 As well as buying second hand antique tables, We offer a very successful Snooker Table Refurbishing service for clients who wish to give their own tables a well earned makeover. Once collected the table arrives it is completely taken apart, all components are labeled and boxed. Then we get to work on the wood-work. First the hazardous job of removing the old Varnishes, Paints and Lacquers, So its out with the caustic bath, paint stripper, face mask and gloves. 2- 3 days of hard labour and after a good hosing down we have chance to work on the cushions while the frame and legs dry off. After a few more days the woodwork has slowly dry ed. Next its off to the sanding dept to remove the wood stain and years of abuse. Each component is lovingly brought back to life. Legs are fixed in the lathe and turned. The frame is planed and re sanded. The brass fixing's, Pocket plates, Rest holders are polished until they gleam again. After a final sanding is down to the Polishing shop for several coats of stain, Lacquer and polish. Meanwhile new pocket leathers are fitted and a new pure wool cloth is ordered. The cushions are finished and its now time to take it back to the owners.